The global hotel industry continues its unprecedented growth in the luxury tier. If this week is any indicator, meeting planners can expect to see the big brands continue to jostle for market share, and group dollars, as they plant flags in key and emerging destinations while turning up the heat on design, amenities and service. Starwood Hotels & Resorts Worldwide has two major developments in this regard. The Stamford, Conn.-based hotel company, which had announced several months ago an intention to grow its Luxury Collection portfolio, unveiled the iconic 151-room Hotel Alfonso XIII following an extensive 10-month, $25 million restoration. It is the first of four new Luxury Collection properties to reopen, with another three to follow as they wrap up multi-million-dollar revamps of their own. The Alfonso Xlll, in the historic center of Seville, Spain, is a 1928 grande dame with four bars and restaurants and the Salón Real grand ballroom, which seats 500. Up next is the Hotel Maria Cristina in San Sebastian, Spain, which will unveil its stunning renovation this July. It will be followed by the Prince de Galles in Paris, and the Gritti Palace in Venice. Both are scheduled to open in early 2013. "As the Luxury Collection portfolio continues to grow globally, it is equally -- if not more -- important that we invest in and celebrate the heritage of the brand and it's most iconic hotels in Europe," says Paul James, global brand leader, St. Regis and the Luxury Collection Hotels & Resorts. Coming soon, he adds, will be top-flight Luxury Collection Concierge service to guests across the portfolio. But the prize for the most openings goes to Marriott International, which debuted three luxury hotels in three countries -- Canada, England and Japan -- on the same day. On Monday, May 28, the 130-room Ritz-Carlton, Montreal, reopened following a massive $200 million restoration, which absolutely put the ritz back into this Ritz. Returning guests will immediately notice more spacious guest rooms, thanks to the hotel having reduced its room count by almost 100 rooms. Among the new offerings are a 130-seat restaurant by three-star Michelin chef Daniel Boulud, a 46-seat greenhouse serving afternoon tea, and 10,000 square feet of meeting space. In addition, the company unveiled its first resort in Japan, the 97-room Ritz-Carlton, Okinawa, which features an 18-hole golf course, a full-service spa and three restaurants. Also making a grand entrance this week was the 85-room Bulgaria Hotel & Residences in the heart of central London's Knightsbridge area. 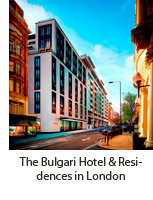 Herve Humler, president of Ritz-Carlton Hotels, is also the president of Bulgari Hotels & Resorts, so expect more expansion news from this luxury brand, which debuted in 2004. The hotel is the city's first new luxury build in 40 years. Don't expect Old Word charm, however. This newcomer blends sleek architecture with glamour and state-of-the-art technology. Many of the hotel's furnishings, such as silver candlesticks, chandeliers and side-table lamps, were made exclusively for Bulgari and crafted by Italian manufacturers. The property's II Bar is open exclusively to members and guests of the hotel, and its full-service spa, spread over two floors, features 11 treatment rooms. And if that weren't opulent enough, groups can hold private movie viewings in a 47-seat screening room, which features an exclusively curated media library of more than 500 new and classic films. Groups of up to 136 can be accommodated in the hotel's flexible meeting space, which includes two boardrooms, two private dining rooms and several offices. Associated Luxury Hotels International Is Quietly Growing Its Convention CollectionMore than 30 luxury properties worldwide now belong to an exclusive club.